We spent about an hour there, which was enough time. On a nice day you could spend longer, by using the children’s play area and perhaps taking a picnic with you, but although dry it was very cold when we visited. 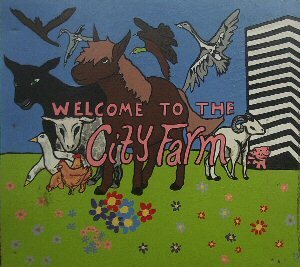 The Coventry City Farm is suffering through a lack of funds at the moment. I had heard that they did not have funds to keep running after the end of of January 2007. Due to support they received then this has now been extended until the end of March, but they are still desperate for more funds. If you are able to give a donation, or know of a company or organisation that would be willing to support the farm then I’m sure they would be very appreciative. If all visitors put a donation in the box then that would certainly help contribute to keeping the farm open and this great resource for the local community. This entry was posted on Wednesday, February 7th, 2007 and is filed under Babies, Children, Coventry West Midlands, General, Tourism. You can follow any responses to this entry through the RSS 2.0 feed. Both comments and pings are currently closed.